Today my day began at 6am. Why did I wake up so early you ask? I asked myself the same thing when I couldn’t fall back asleep. I got up, and took extra long going through my morning routine. First I wash my teeth, sing the ABC’s in my head to count brushing time (don’t ask), washed my face in soft circular strokes using my Artistry face wash, later came the tonic, acne creme, eye creme and then the lotion. (Long routine eh?) With me taking my time I spent I about 15 minutes. I made my bento (because I was too lazy the night before) and got ready while I skyped with my dad. Then I head off to Ritsumeikan and rode on of the most crowded buses since I have been here. I felt like I was part of a tin of packed sardines. Thankfully, the closer we got to the University’s stop (the final stop) the less crowded it would become. 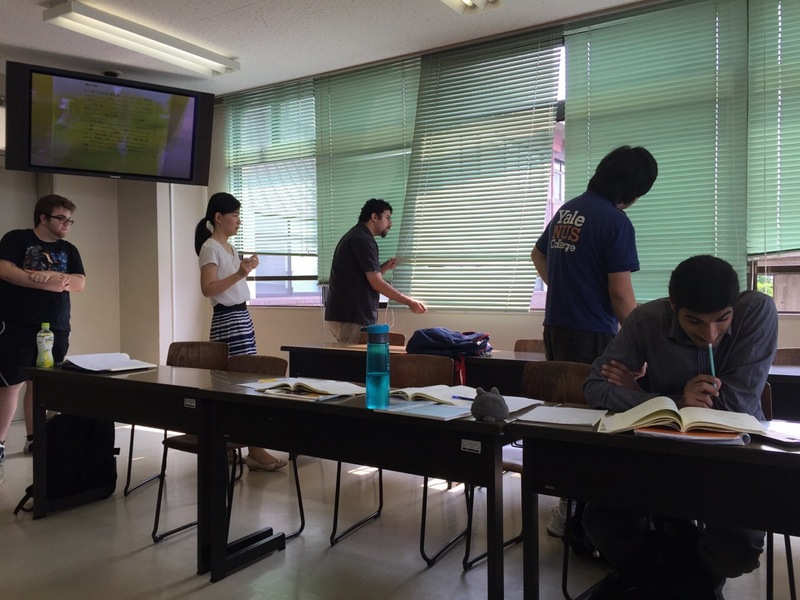 Class began slow and got a tad interesting when some sort of giant beetle bug thing got in the classroom and we began to freak out. Now the question is: How did it get in? 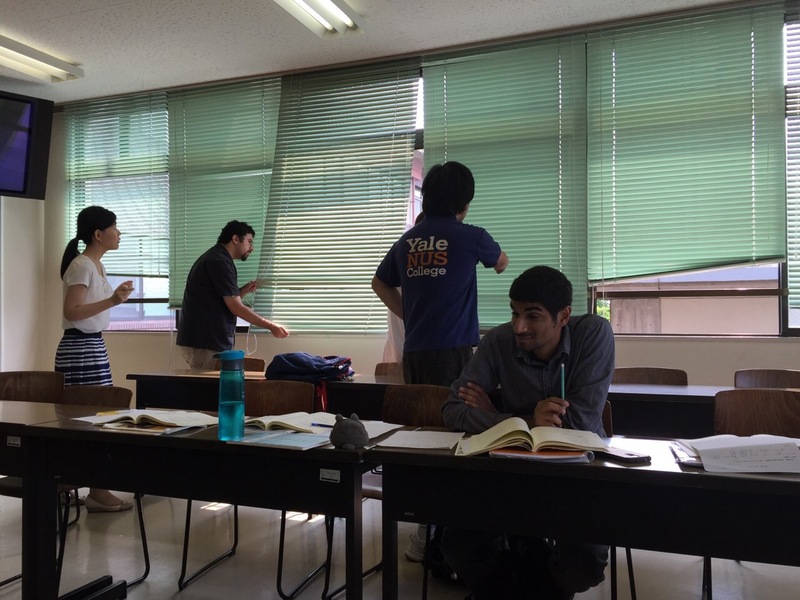 Simple, we always have the windows open while having lessons. It took about three people before Elaine got the beetle out of the classroom and tossed it out the window. I received the quiz that I took on Friday back…and it was not pretty. I did not do as well as I had hoped. I received a score of 13/20 (65%) also know as D. So in other words…I failed. As I mention before, grades stress me out to the point that I suffer mild panic attacks. I was beyond upset, and instantly became worried and frighten of the final that I will have on Wednesday. It made my state of mind 10 times worse. 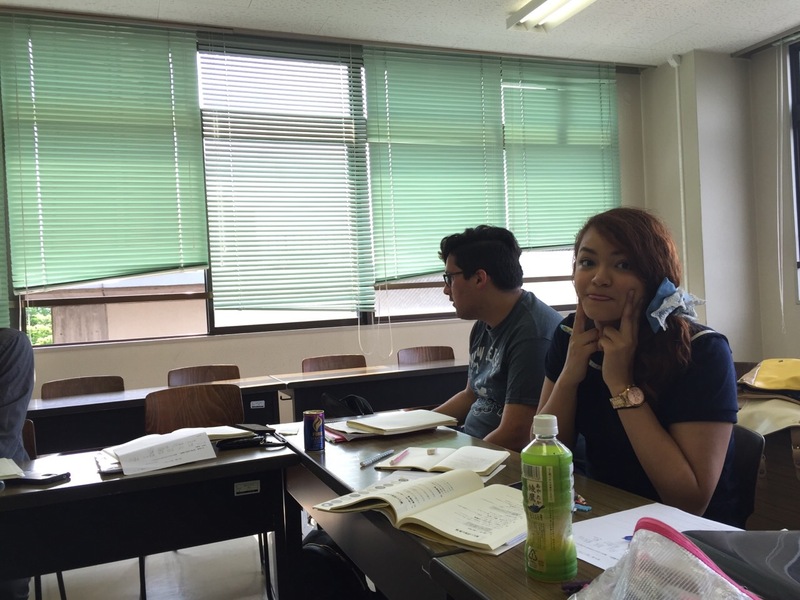 I actually began crying in the class and would shrug it off as if I was just simply yawning a lot…I would even mention how tired I was ( which was complete lie). In Japan I have grown accustomed to carry a small hand towel around, and I would use to cover my mouth to “yawn” and to wipe away my tears. (I am the definition of pathetic). Or an honorary Singaporean. According to Brian (the guy who got me band-aids a while back), since I am extremely studious, freak about class and I’m an over achiever with a high GPA it means I am just like a Singaporean. Anyways, I cancelled all plans I had for today. Because I need to get good grade on the final exam, for the sake of my GPA, scholarships and sanity. I returned to the accommodations immediately after lunch was over. 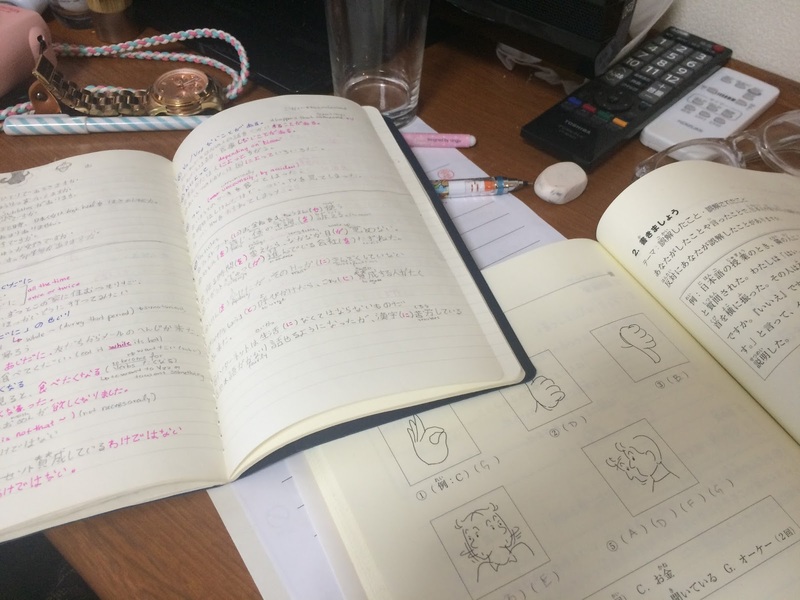 I wanted to study right away, but I was too frazzled and knew I was not going to get anything engraved in my head…so I began packing…which made very sad…and I cried some more. 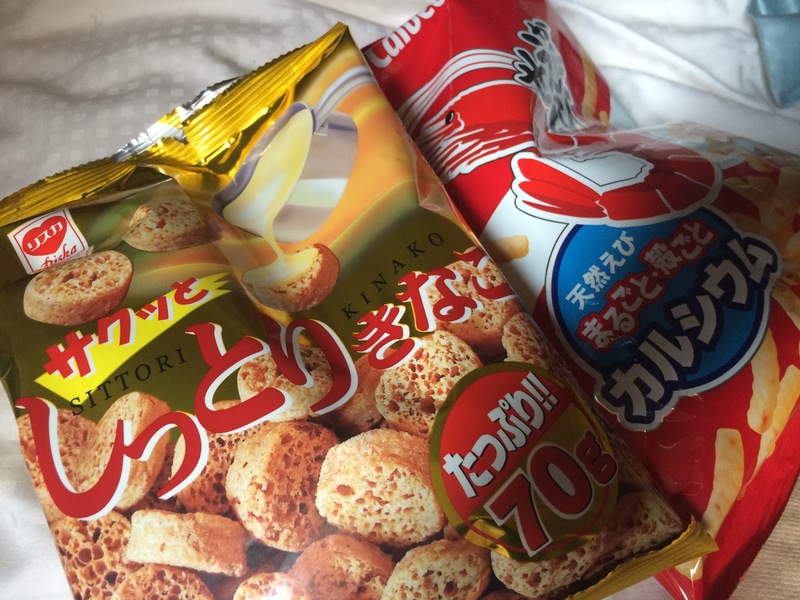 I needed fresh air so I took a stroll down Sanjo Market and bought some snacks. What did I buy? I am not exactly sure except one was really sweet and the other was shrimp flavoured. Then I began studying, I began with the review homework that the professor assigned. First I did it, then checked the answer key, and then re-did the homework (writing both question and answer down in my notebook). It took me about two hours to get all of this done. Then Franz and I went out to get dinner. 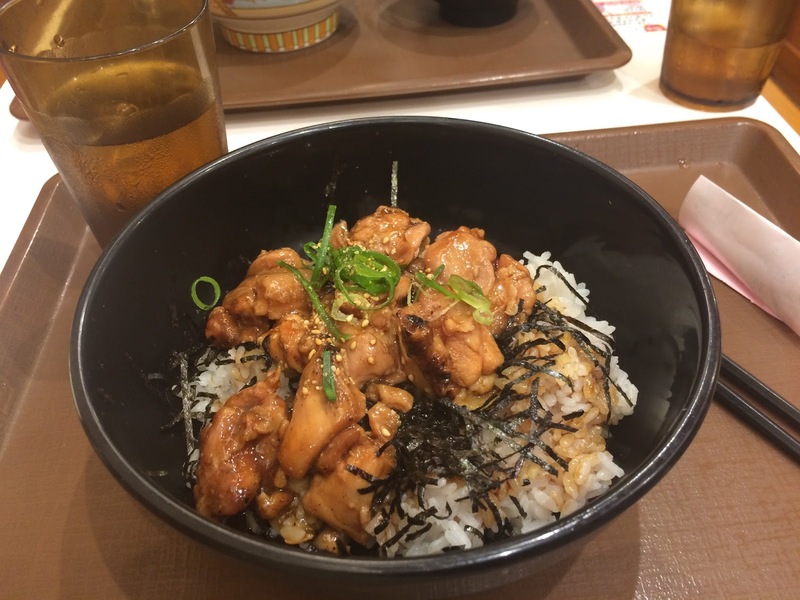 It is a dish called Gyuudon, but it is just rice and chicken in a bowl (nothing special). It cost me 450 yen. Once back at the accammodations, I took a shower, washed my hair, wrote this blog, edited the video and now I about to go blow dry and iron my hair so I can get back to studying. Tomorrow after the FINAL useless FIU class I will be spending my time with Elaine as we study together ( or as she teaches me everything I don’t understand, which is a lot).